It’s getting busy, and I love it! It’s busy with the season of giving, how could you complain? I use to be an early shopper, and my husband wasn’t too keen on it. He said shopping in the season is so much more festive, busier, but merrier. He was right, so the last few years, we have enjoyed seasonal shopping and preparing. This year I really wanted to make an Advent calender, but I have been struggling with some ideas. One, I don’t want to give my kids treats, they get enough on Christmas, and I think it takes away from the big day. Most people do some form of activities, and this is the way I would like to go. I am having trouble with all the ideas, because I want all the activities to be giving and learning about the true meaning of Christmas. 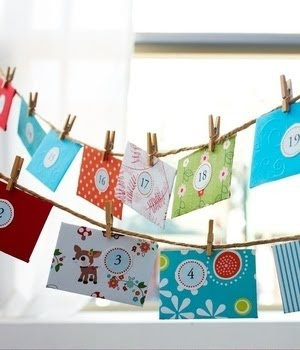 I liked this idea, but I don’t really want to use paper, I would like something a little more permanent. I also had the same idea as this crafter, which is the way I might go. I was thinking hand embroidering numbers on each bag. I have time, my big one and I have our own special countdown we have been doing, and I have plenty of time before my little one is able to get the concepts. If you have suggestions, I would love to hear them. Today it was really early in the morning when I took the photos, so I was lacking light. Hopefully you can enjoy anyway. The first is my son’s ornament from last year. 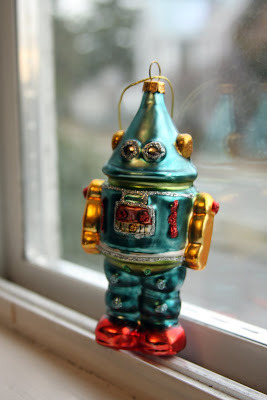 He was really into robots, and he was really excited to put it up this year. 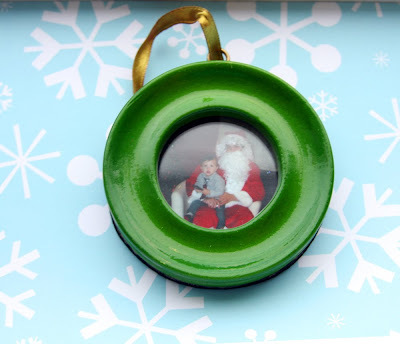 Love the stories behind your ornaments, I think it may be a tradition I might have to start too.